There are a series of intangibles that can be just as important in interior-design as colour, luminosity and shape. Often, the most potent first impression and subsequent memory of a space can be its smell. 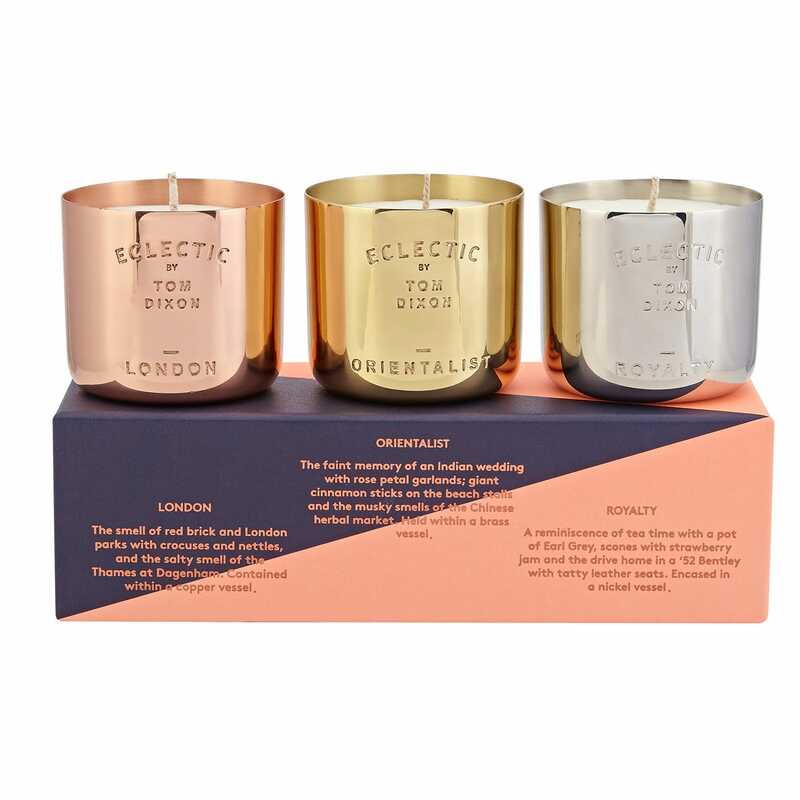 The Eclectic family of Tom Dixon scents are each contained in a corresponding Brass, Copper and Stainless Steel hand-spun vessel.